Since I spent too much money at Eli Tea, and because the quality is so high, I don’t want to delay in reviewing as many as i can without it becoming too annoying. Today I’m drinking the fascinating Steamed Green Darjeeling. Eli also has a pan-fried Green Darjeeling but i opted for this once instead. Steamed Green Darjeeling is definitely the first time I’ve ever encountered a Green bred as a Darjeeling (or is it a tea that just happens to be Green raised in India?) and I’m really excited. In scent, it’s a bit dull for a traditional Green, maybe a closer comparison would be an organic Pitta? I’m thinking the reason it feels Herbally is that it’s a Steamed Green. What makes it fun is the flavor doesn’t really reveal any antioxidants! It does have a decent amount of caffeine though. It’s sweet like a Green but maybe a thinner Green like Taiping Houkui; there is some small amount of grit but the overall impression I get is more body than grit. Ingredients: Green tea from Darjeeling India. Flavor: classic Green tea flavor. Forest rain aroma. 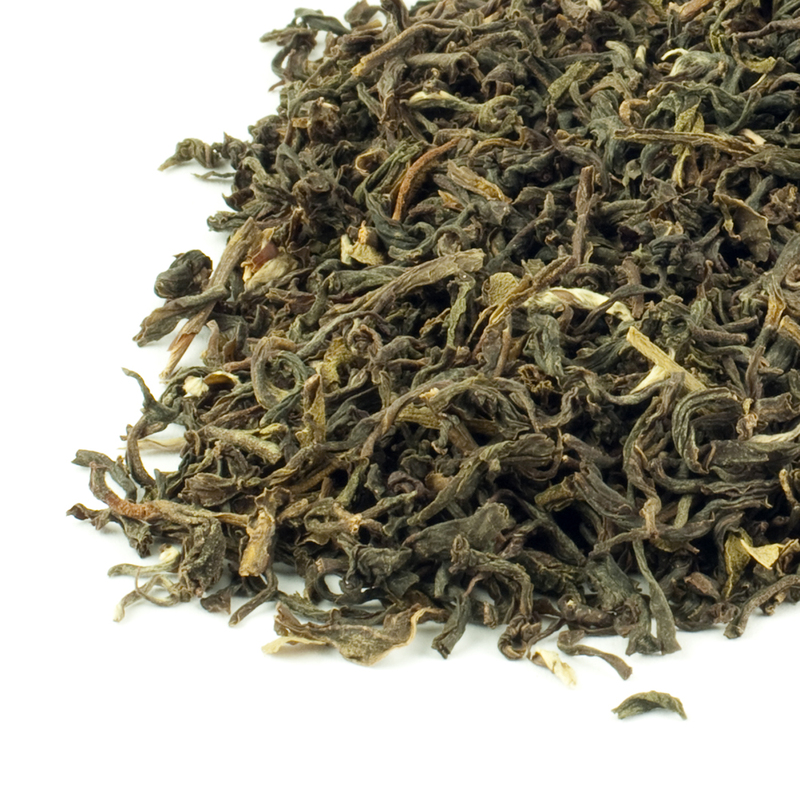 Grown at high elevation, the tea plants of Darjeeling India are hybrids of the Indian and Chinese tea plant varieties. The tea is picked and processed like a China Green, but steamed rather than fried. Well, I’m not sure I’d agree Steam Green Darjeeling succeeds in tasting like a classic Chinese Green (and really, you shouldn’t expect it to if you grow it on the other side of the world in totally different soil with a totally different climate and then steam process it), but on a blind taste test I’m sure I’d call it some kind of Green. ;) Fun and original! Once again, Eli doesn’t have this one currently available through their website, but I found a parallel version you can buy elsewhere online if you simply must have it.